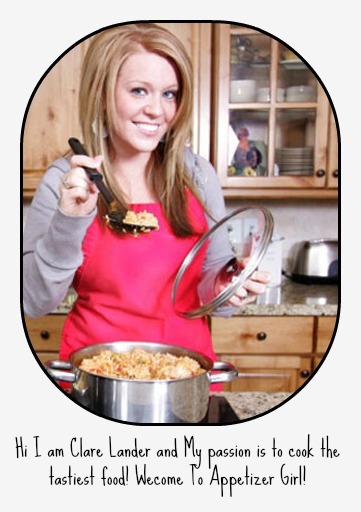 I’m going to assure you that this recipe is quick and easy. You only need 30 minutes to make this delicious and nutritious recipe. Notice what you see in the picture above. 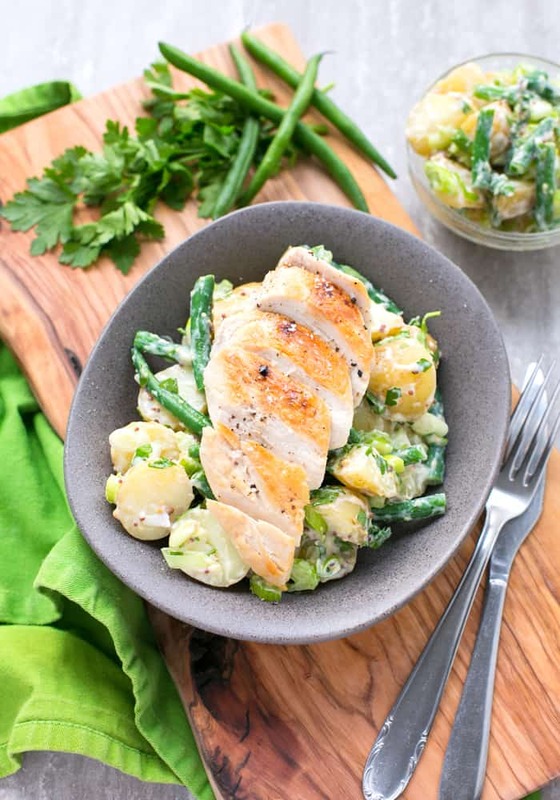 This Chicken Potatoes and Green Beans made with: golden brown grilled chicken, with new potatoes, and fresh green beans on a fresh sour cream. 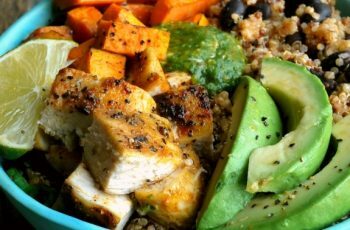 A healthy meal even on a busy day cause it doesn’t require plenty of your time in the kitchen. This is a gluten-free recipe that is a perfect meal for family and friends. 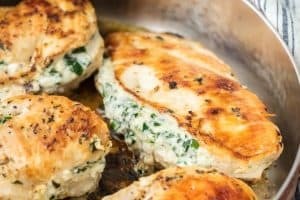 This recipe was inspired by my favorite ways to make chicken dishes like easy lemon chicken breast recipe. But there are some differences. 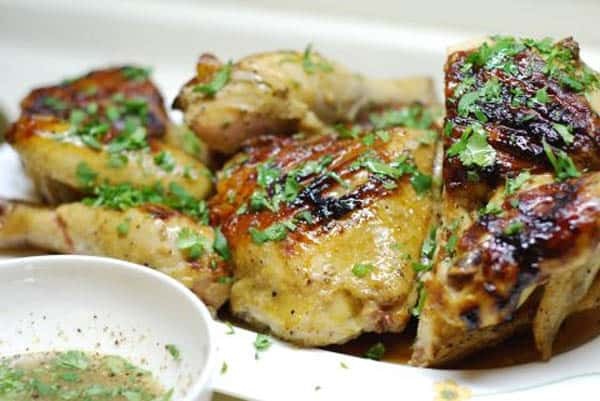 In this recipe, the chicken is grilled not cooked in a skillet. And the combination of fresh green beans and potatoes create a unique flavor along with the dressing made from wholegrain mustard with vinegar and fresh sour cream. Amazingly tasty and yummy. Plus adding celery and parsley makes an aroma that you can’t resist. I will warn you this is a mouth-watering dish! Did you know? Green beans are an excellent source of potassium, folate, and fiber. It also contains anti-oxidant and a good source of protein, zinc, and iron same with other vegetables. Amazing! What about potatoes? Compared to other popular vegetable potatoes are more energy-packed and have even more potassium than a banana. Interesting! Knowing this surely makes this an ideal ingredient as part of your meal from time to time. Wow! I super love it! Incredibly tasty, creamy and flavorful. If you have time try this recipe and let me know the outcome. I would appreciate if you leave a comment. For the chicken, you can leave the breasts whole (but it will take more time to cook), or slice into them from the side so you can open it up like a book. Place the chicken between two sheets of clingfilm. Roll all over the chicken with a rolling pin until it is 1cm thick. Brush the prepared chicken breasts with a glug of olive oil, salt and pepper to taste on both sides. Cook on a hot grilling pan for 4 mins on each side, or until cooked through. While grilling the chicken bring a large saucepan of water with a pinch of salt on to boil. Chop the new potatoes into halves, and add them into the pan of boiling water. Cook until just tender, about 10 mins, then remove with a slotted spoon and transfer into a large bowl. Trim the tops from the green beans and then cut them in half. Add into the same pot where you cooked the potatoes and cook for about 4 min, until just tender but still crisp. Drain the beans in a colander and put them in a bowl of cold water to stop them going soft. Then, transfer into the bowl with the potatoes. In a small bowl, mix the wholegrain mustard with the vinegar and olive oil. Season with salt and black pepper. Finely slice the spring onions. Finely chop the celery and parsley and fold them all into the bowl with the potatoes and green beans. Pour in the prepared vinaigrette, sour cream and mix all the ingredients together. Allow to rest to bring out all the flavour. 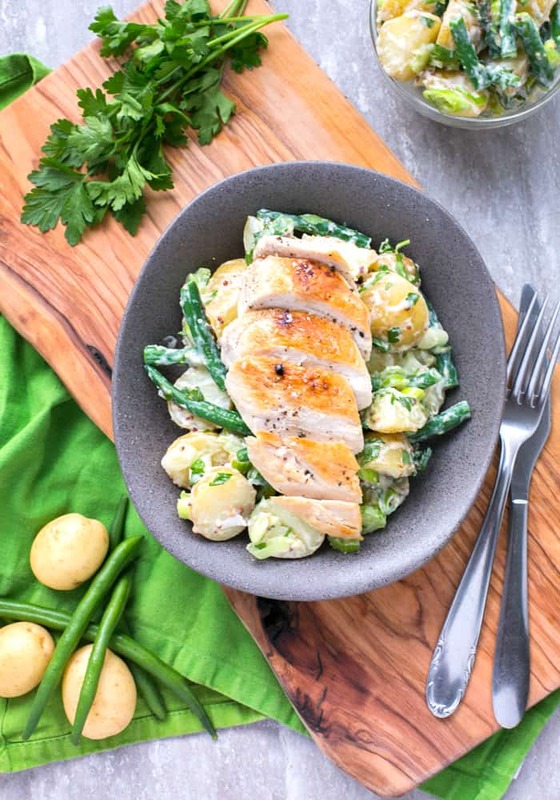 Remove the grilled chicken from the pan and serve alongside your prepared green bean potato salad.